Identify types of OER, benefits of using OER in teaching and learning, examples of OER used in K-12 education, and platforms to search for and share OER. As a teacher working in an elementary or a secondary school, it is very likely that you need to face a crucial reality - having limited time to deal with all kinds of school duties, including developing lesson plans, creating teaching materials, and documenting student learning progress, etc. This reality in K-12 educational settings could be particularly overwhelming if you are a beginning teacher. Luckily, with the advent of technology and the emergence of K-12 Open Educational Resources (OER), more free and quality resources become available for K-12 teachers. OER allow teachers to save the time creating teaching materials from scratch, yet still have access to materials that support student learning engagement. OER have created an extraordinary opportunity for educators to customize teaching and learning as well as sharing knowledge in various forms across communities, states, and even countries. “The OERs - Open Educational Resources” by intheacademia is licensed under CC BY. As described in the video above, there are many characteristics of OER that can be beneficial to K-12 teachers in supporting their teaching and professional growth, as well as student learning. One of the important characteristics of OER is that OER must be free - both to give and to take. Imagine when teachers are motivated to put effort in their teaching preparation for instructional materials, many of them might need to start from scratch or pay out of their own pocket to purchase some existing resources created by other educators. However, teachers should not be dealing with this situation in a school environment that already has very limited time and resources for teaching preparation. With OER, any teacher can search for thousands of high-quality online instructional resources in a wide spectrum of content areas and get access anytime for free. When teachers commit part of their time creating and sharing open and free teaching resources with the education community, in return, the collective effort will allow them to save time and money on quality teaching resources for their own classrooms. For instance, instead of paying ten dollars to download a low-quality worksheet from ABC.com for a Math classroom activity worksheet, Mr. Johnson would be able to search on different OER websites and download three different worksheets with high reviews from other teachers for free. Utilizing OER can not only save teachers’ money, but also save their time to prepare for their teaching more efficiently. For instance, Ms. Williams, a beginning 5th grade teacher, can search for existing lesson plans other 5th grade teachers created that align with the same Math standards she wants to teach. Instead of creating a lesson plan starting with a blank document, Ms. Williams already has an idea what activities can be integrated in a lesson plan to address specific instructional goals by searching OER created by other teachers. From there, Ms. Williams can easily gather different ideas and activities she found from standard-aligned OER and create instructional materials for her own class. In addition to saving teachers’ time and money, OER can be useful and beneficial for teachers because they are customizable. Teachers are encouraged to take an advantage of this feature of OER allowing users to engage in 5R activities. With the permission to remix and revise, teachers have the flexibility and choices to change whichever parts of OER that do not apply to their classes can customize the content based on their own teaching needs and students’ learning needs. For example, Mrs. Harrison downloaded a series of digital reading materials for readers in different levels from an OER website, including news and stories that she would like to let her 2nd grade students practice reading. Yet, it would be impossible for her to directly adopt all the materials in his class due to learners’ various language proficiencies. This issue could be quickly resolved with OER resources as users are generally granted the rights to revise the content according to their own teaching needs. Thus, Mrs. Harrison can easily modify the difficulty level of a reading to offer a differentiated reading activity to her students. In addition, Mrs. Harrison could also remix the resources to fit her teaching needs. For example, she could create three folders (Beginning, Intermediate, and Advanced) in her Google Drive and categorize all the reading materials she found in those folders. Then, by continuously adding more reading materials in those three folders over time, she would be able to collect and customize OER resources to address a wide variety of learning preferences and needs of different groups of students. Lastly, OER can also help teachers keep their instructional materials stay current. Compared to the traditional hard copy textbooks that K-12 schools usually replace on a multi-year cycle due to huge cost on replacement, teachers can update the content on OER anytime for free. Thus, OER is also particularly handful for teachers who need to meet new standards and instructional goals. “Six Types of Creative Commons Licenses [https://edtechbooks.org/-qi]” by Creative Commons [https://creativecommons.org/] is licensed under Creative Commons Attribution 4.0 International License [https://edtechbooks.org/-PPo]. “Education is sharing” is the key concept behind OER. While creators of educational resources give their permissions to others for using their original work for free, it is necessary for OER users to give credit to creators and attribute their original work when they reuse, remix, revise, and redistribute the work. In other words, attributing the creative work you used to its original creator is the premise of a respectful and legal use of OER. Where Can K-12 Teachers Look for OER? Identify your purposes/goals/needs of instructional materials you are looking for. Search for openly licensed resources on different websites. It is a good start to search for OER from the list of resources provided above. 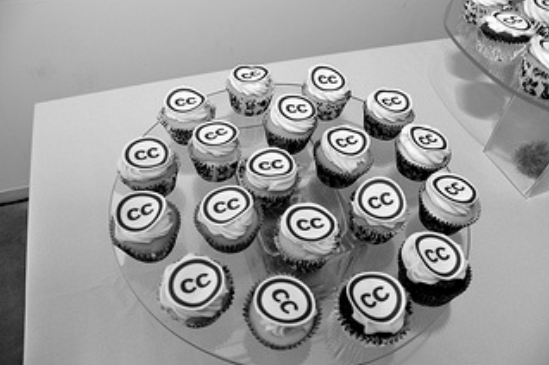 Get access to the resources you found and make sure they are openly licensed under Creative Commons which provides you the permission with stated conditions. Get ready to reuse, revise, remix your OER. Identify your purposes and goals of instructional materials you want to share. Create a new material or revise and remix existing OER based on your purposes and goals. Redistribute your OER on one or more websites [https://edtechbooks.org/-KWu] (e.g., Flickr, Vimeo, OER Commons). Yin-Chan Janet Liao is a Post-Doctoral Scholar of UChicago STEM Education at the University of Chicago. Janet received her Ph.D. from the Department of Instructional Systems Technology at Indiana University-Bloomington. She holds a M.S.Ed. in Learning Science and Technologies from the University of Pennsylvania. Janet’s research areas focus on preservice and inservice teacher professional development for technology integration and computer science education in K-12 settings. Janet has taught educational technology courses at the undergraduate level. 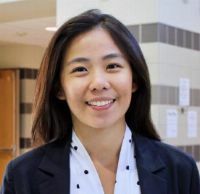 She has also served as a technology coach in preK-6 schools to support teachers’ technology uses and computational thinking instruction since 2016.